Found text, gouache, and matte medium on canvas. Deborah Rule is a mixed media artist fascinated by human interaction, especially interaction through verbal communication. 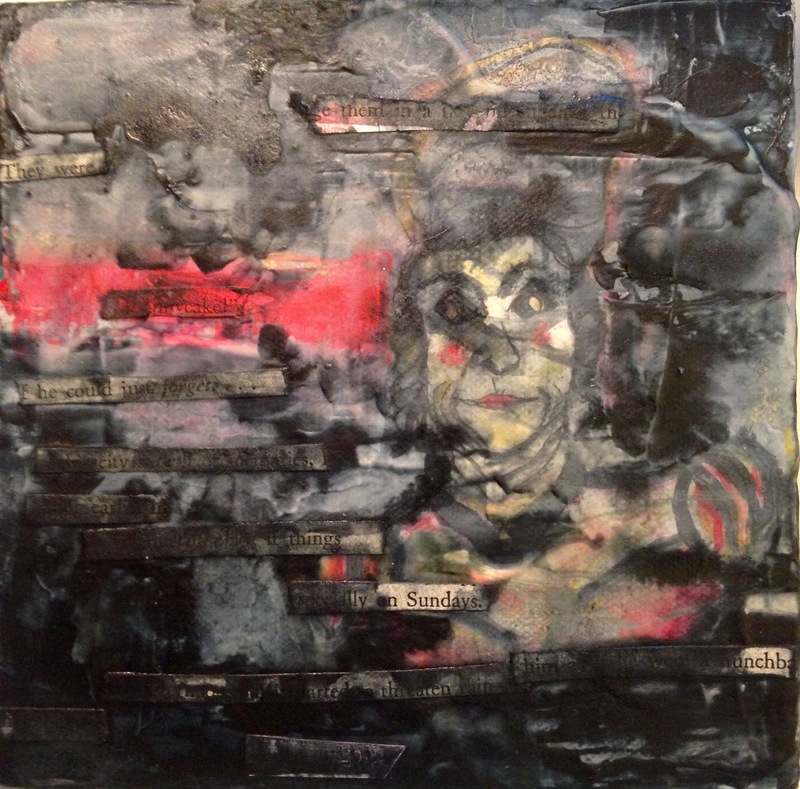 Her work integrates text, both drawn and found, layered images and various textures to reflect the process of interactions that guides human connection and disconnection. Rule received her BFA in Studio Art/2D from The University of Tennessee, Knoxville in 2013. Upon graduation, Rule was awarded a Studio Assistantship with Arrowmont School of Arts and Crafts, where she continued to expand her studio practice. She currently lives, works, and exhibits in Knoxville, TN.